Packing can be time-consuming! Stay ahead of the game by starting your packing early. This will allow you to properly protect all items, label correctly, organize/consolidate boxes, and give you a much better understanding of how much stuff you have. If you need any direction on where to obtain affordable packing supplies, rely on your trusted Virginia Beach moving company for advice. Correctly labeling boxes can not only speed up your move, but also significantly help when it comes time to unpack everything again. When the movers can clearly see what room a box is assigned to, it will allow them to continuously move your household goods without stopping to ask where every single item needs to be placed. All quality moving companies in Virginia Beach pride themselves on overall efficiency and labeling boxes can be key to helping with that. Hoarders beware! Moving is the time to purge. Don’t allow all those boxes in the attic to sit around again for years in your new home. Often, it makes sense to downsize on some of your personal belongings as you make the transition to your new home. Not only will having fewer items speed up your move and lower cost, but it will also prevent clutter in your new home. Take the time in advance to evaluate what needs to stay and what needs to go. Planning is key. A well thought out plan will always outperform freestyling when it comes to moving. There is so much to do when it comes to moving that it can often be overwhelming. By listing out everything that needs to get done along with target dates, you will always have a solid plan to refer back to in those overwhelming moments. Your Virginia Beach moving company will love walking into a fully packed and planned out home. It makes their job that much easier and saves you time and money for your move. Very often while packing, essential items can get lost in the mix. Make sure you set aside all important items(toiletries, chargers, etc.) beforehand that you may need right away at your new location. It is also advisable to secure all small valuables that can easily get lost in the commotion of a move. 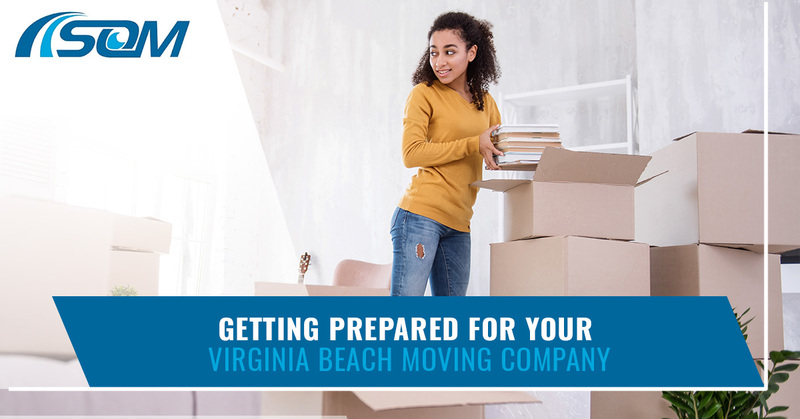 All reliable Virginia Beach moving companies will try their best to ensure the safe transportation of your household furniture and valuables, but it is highly encouraged for the client to do his or her part as well. One great way to save yourself significant time and money is to place all boxes in a central location within your house once all packing is done. Many moving companies in Virginia Beach operate at an hourly rate. Because of this, it would be recommended to move all boxes on your second story and throughout your home to an easily accessible first-floor room. This allows for a much faster load. This advice is also applicable to your unload. If you can find a first floor room for your movers to unload all boxes from the truck, it will speed up your unload as well. Still not a fan of packing? That’s OK — with Scott’s Oceana Moving, we offer a number of moving services, including packing! Whether you’re looking for a long distance moving company or are just trying to move down the block, whether you’re moving your business or your home, Scott’s Oceana Moving is your top choice for Virginia Beach movers. Get in touch with our moving company today to get a free estimate!